UNDERSTOOD ANDROID DEVELOPMENT IN 48 HOURS. Last month, we’ve been building an Android app. Fact is that i was never ever interested in android but later, because of unavailability of resources, i took some job on android development and realized it is just 48 hours of job to understand entire architecture and application development .Coming from a Microsoft-end perspective, I’ll take you through what it’s been like to work with Android and what you can expect as a new Android developer. 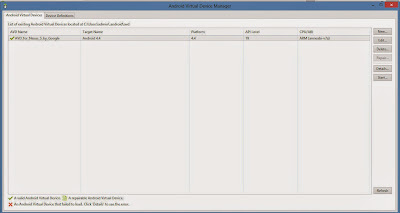 Android is operating environment based upon the Linux® kernel. Initially, the deployment target for Android was the mobile-phone arena, including smart phones and lower-cost flip-phone devices. However, Android's full range of computing services and rich functional support have the potential to extend beyond the mobile-phone market. Android can be useful for other platforms and applications. The Android platform is the product of the Open Handset Alliance, a group of organizations collaborating to build a better mobile phone. The group, led by Google, includes mobile operators, device handset manufacturers, component manufacturers, software solution and platform providers, and marketing companies. The first Android-capable handset on the market was the G1 device manufactured by HTC and provisioned on T-Mobile. The device became available after 9 months of speculation, where the only software development tools available were some incrementally improving SDK releases. 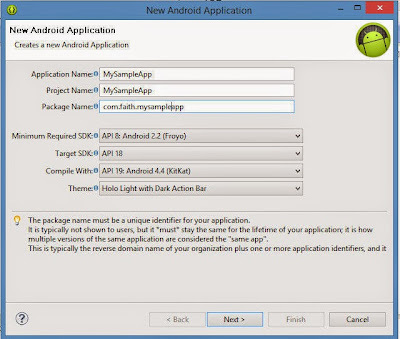 Here i will give an introduction of Android platform and learn how to code a basic like displaying message in Android application. Android boasts a healthy array of connectivity options, including WiFi, Bluetooth, and wireless data over a cellular connection (for example, GPRS, EDGE, and 3G). A popular technique in Android applications is to link to Google Maps to display an address directly within an application. 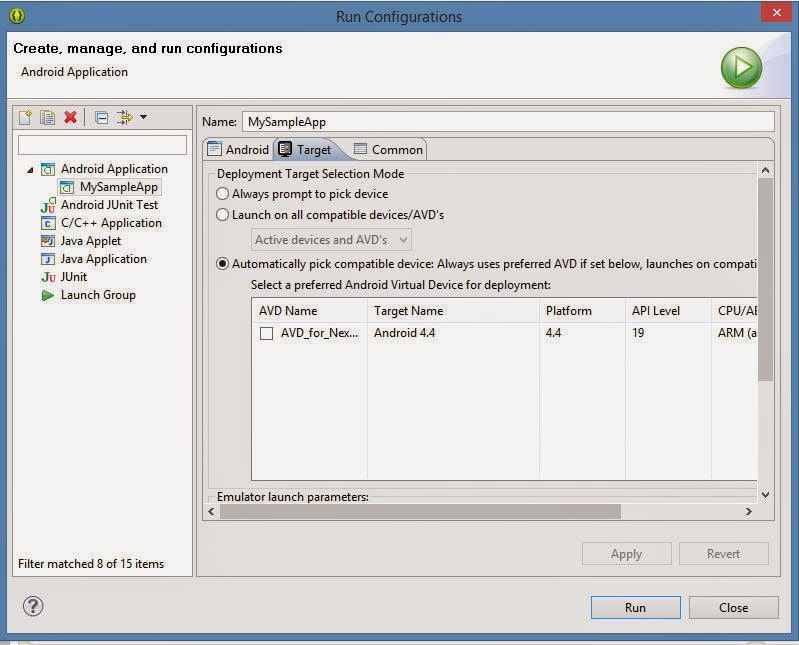 Support for location-based services (such as GPS) and accelerometers is also available in the Android software stack, though not all Android devices are equipped with the required hardware. There is also camera support. Android operating system is a stack of software components which is divided into five sections as shown below in the architecture diagram. At the bottom of the layers is Linux - Linux 2.6 with approximately 115 patches. This provides basic system functionality like process management, memory management, device management like camera, keypad, display etc. Also, the kernel handles all the things that Linux is really good at such as networking and a vast array of device drivers, which take the pain out of interfacing to peripheral hardware. This is the third section of the architecture and available on the second layer from the bottom. 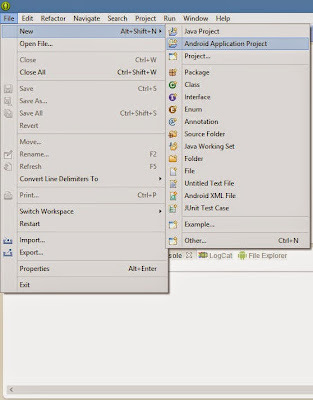 This section provides a key component called Dalvik Virtual Machine which is a kind of Java Virtual Machine specially designed and optimized for Android. The Dalvik VM makes use of Linux core features like memory management and multi-threading, which is intrinsic in the Java language. The Dalvik VM enables every Android application to run in its own process, with its own instance of the Dalvik virtual machine. 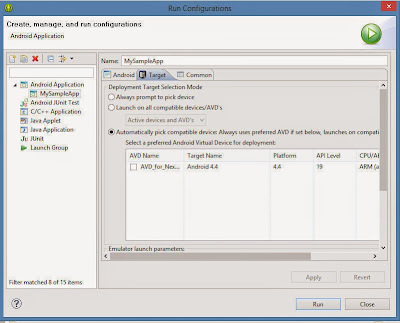 The Android run-time also provides a set of core libraries which enable Android application developers to write Android applications using standard Java programming language. A service should be used for any application that needs to persist for a long time, such as a workflow based application,network monitor. Content provider is something where data can be persisted/stored like database or xml. A content provider's job is to manage access to persisted data, such as a SQLite database. If you're developing big application, a content provider is the means of accessing your data. 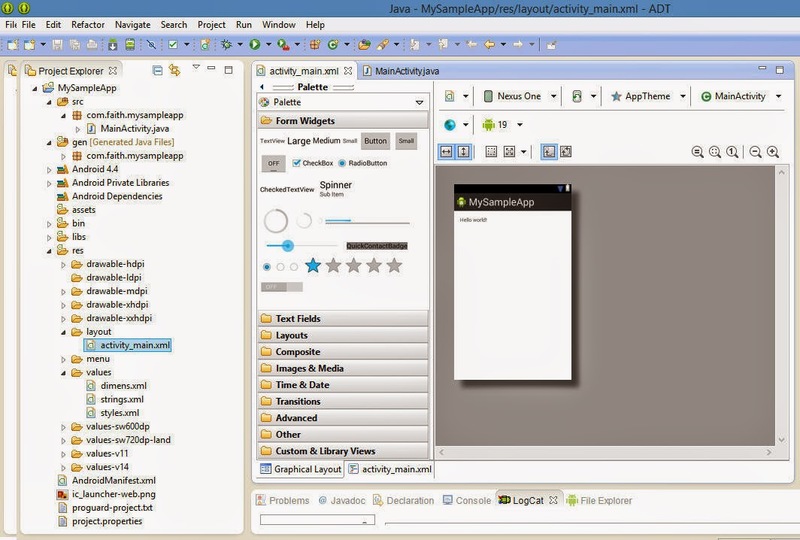 An Android application, along with a file called AndroidManifest.xml, is deployed to a device. 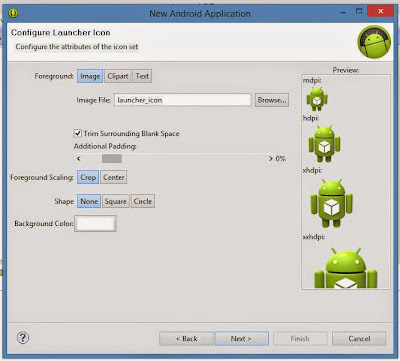 AndroidManifest.xml contains the necessary configuration information to properly install it to the device. For example, whether an application requires access to the network? — this permission must be explicitly stated in the manifest file. The easiest way to start developing Android applications is to download the Android studio or Eclipse IDE .We can do Android development on Microsoft® Windows®, Mac OS X, or Linux.I assumes you are using the Android studio. 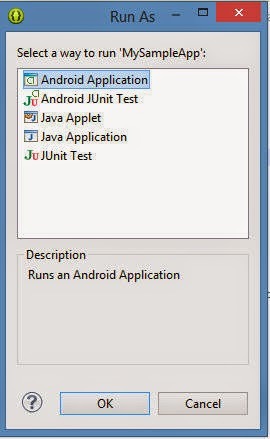 Android applications are written in the Java language, but compiled and executed in the Dalvik VM (a non-Java virtual machine). 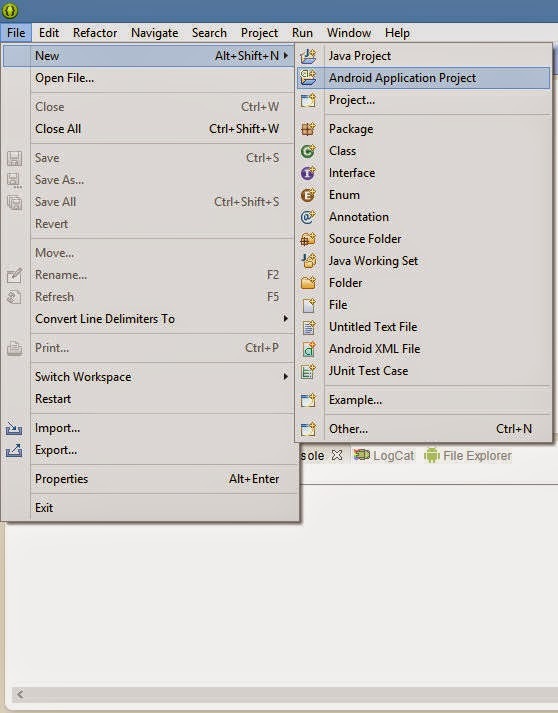 Just click on ellipse folder and click on ellipse executable file and it will open ellipse IDE as show below. In the next section, you'll create a simple Android application. 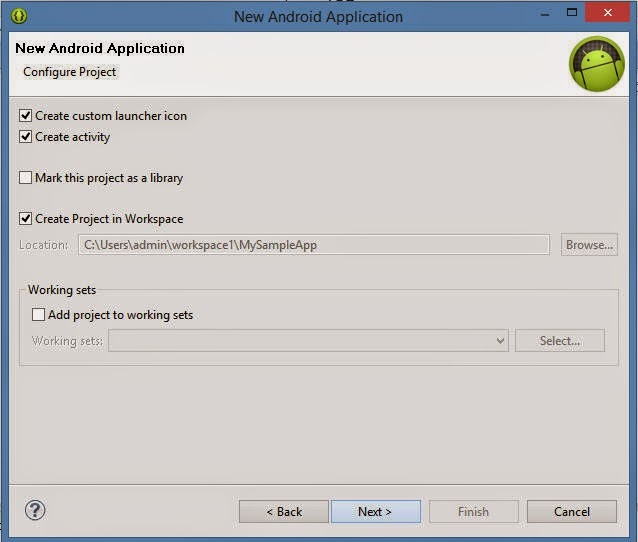 This section provides a tour of building an Android application. 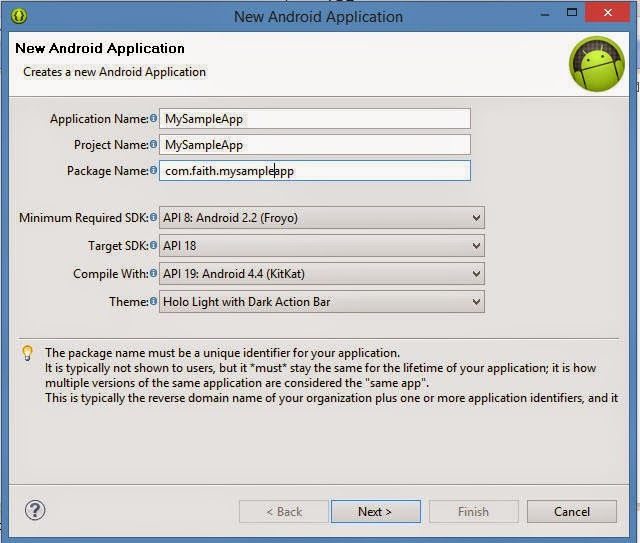 The example application is about as simple as you can imagine: a modified "Hello Android" application. You'll add a minor modification to make the screen background color all white so you can use the phone as a MySampleApp . Next, you create a simple application with a single activity, along with a UI layout stored in main.xml. 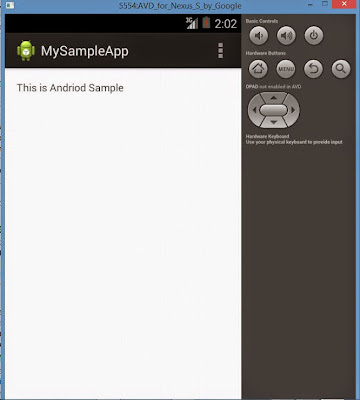 The layout contains a text element you're going to modify to say Android MySampleApp . The simple layout is shown below. 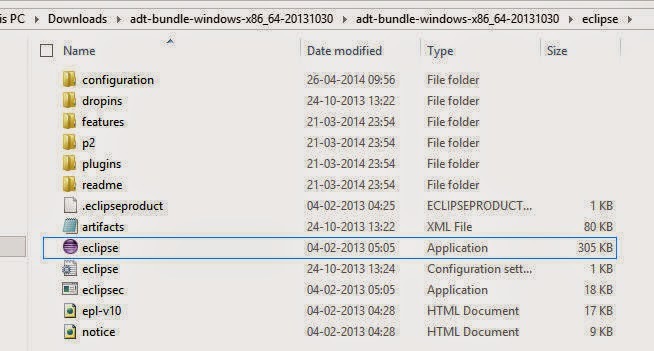 The strings.xml file is located in the res/values folder and it contains all the text that your application uses. For example, the names of buttons, labels, default text, and similar types of strings go into this file. This file is responsible for their textual content. For example, a default strings file will look like as following file:. The application has a Java source file called MySampleApp .java, as shown below. 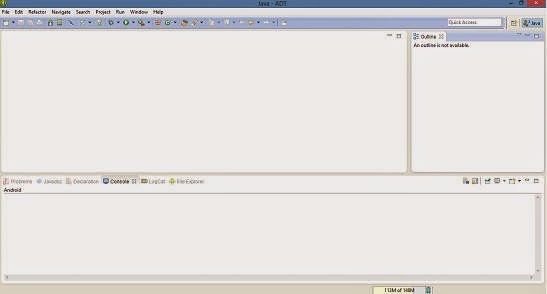 It is part of a Java package called com.msi. MySampleApp . When this activity is initiated, the onCreate method is invoked, passing in a savedInstanceState. Don't be concerned with this bundle for our purposes; it is used when an activity is suspended and then resumed. 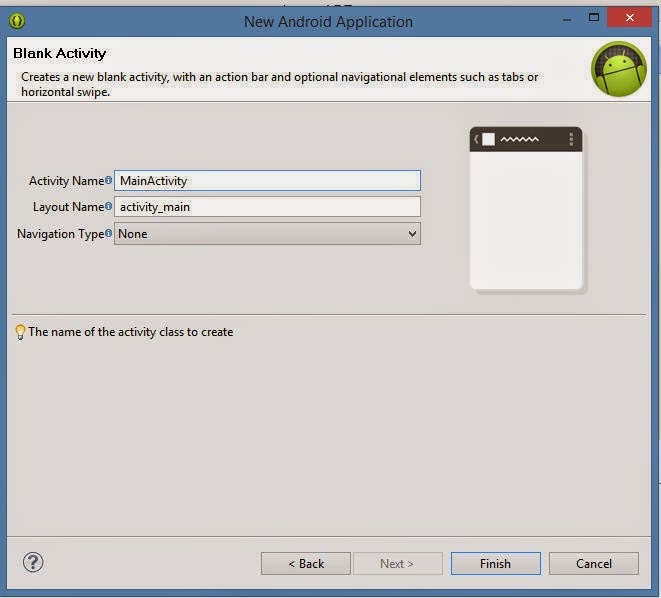 The onCreate method is an override of the activity class method of the same name. It calls the super class's onCreate method. 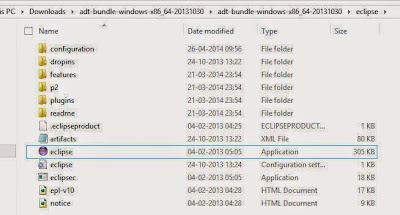 A call to setContentView() associates the UI layout defined in the file main.xml. 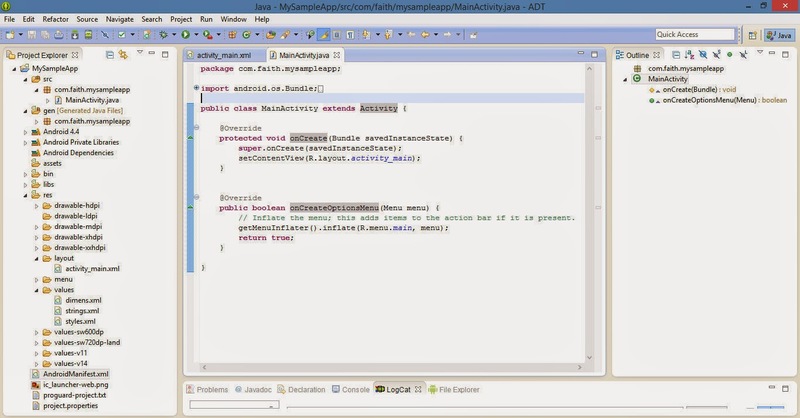 Anything in main.xml and strings.xml gets automatically mapped to constants defined in the R.java source file. Never edit this file directly, as it is changed upon every build. Create layout in android with some customized buttons.try to visualize in multiple screen sizes.The image appears proper on screen size 2.7 to 5.1. However buttons appear stretched on screen size 5.4 and greater . Usually developers use multiple same images(like img01,img02..) , named them similarly of different densities and placed them correspondingly in the folders ldpi,mdpi,hdpi,xhpi. Bad idea... how many images you will include? think of performance,optimization on priority. Dont hard-code any layout parameters such as height,width etc..
Dont use "px".Use "sp" for Text Size and "dp" for layout-width, layout-height etc. Prefer ScrollView wherever required for layouts as it supports for a singleView. Make use of RelativeLayout and LinearLayout and dont use AbsoluteLayout. From Android 1.6 (API Level 4), there is support for multiple screen sizes and densities, reflecting the many different screen configurations that a device may have. 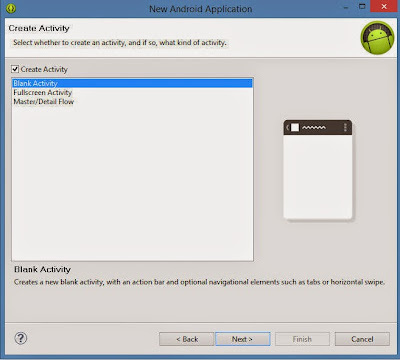 In this article, you learned about Android at BASIC LEVEL. Hope, the example will help you to explore more of the Android platform.